(*) Those countries with an asterisk are geographically or politically Eurasian countries. More information [HERE]. Location of the European countries. (*) Kosovo is not a sovereign country. More info [HERE]. Kosovo is not a sovereign country (yet) as its territory is currently disputed with Serbia. It is not a member of the United Nation and only 57 % of all the world countries recognize it as a sovereign state (110 out of 194). Armenia, Azerbaijan and Georgia: politically they can be considered European countries (they belong to the Council of Europe¹ and the European Union considers them European countries²); geographically they are Eurasian countries (located in the Caucasus, imaginary limit between Europe and Asia). Cyprus: politically it is a European country (it is a member state of the European Union²); geographically, it is an Asian country3 and 4. Kazakhstan: Politically, it is usually considered an Asian country3 and 4; geographically it is a Eurasian country (the majority of the country is located in Asia except for the western part located west of the Ural River). 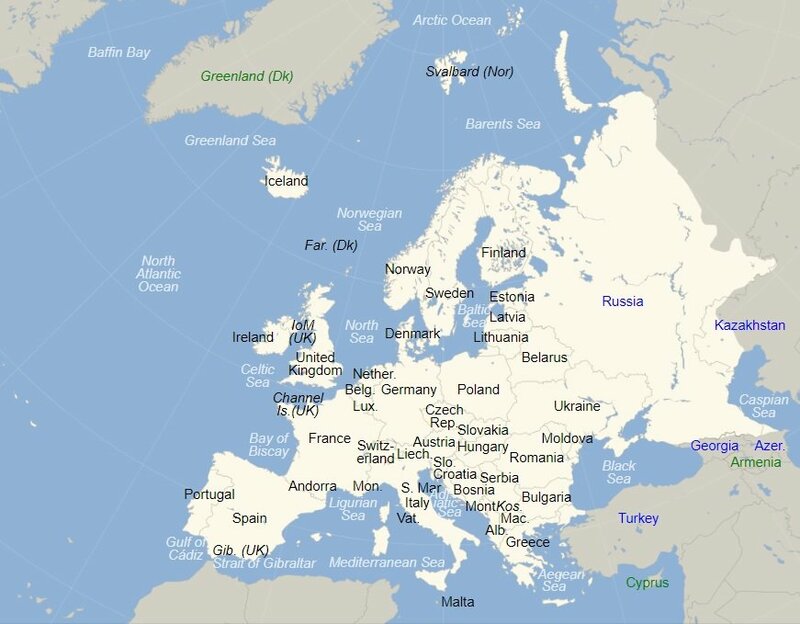 Russia: politically it has influence both in Europe and in Asia (the European Union considers it a European country², the RSA considers it Eurasian4); geographically it has 40% of its territory in Europe. Turkey: politically it can be considered a European country (it is a candidate member to join the European Union²); Geographically the majority of the country is located in Asia with the exception of the East Thrace region. Council of Europe (2019). Member States of the Council of Europe. Available [HERE]. European Union (2019). Member States, candidates and other European countries. Available [HERE]. United Nations (2019). Geographic regions. Available [HERE]. Royal Spanish Academy (2010). The Orthography of the Spanish Language. Pages 721-728. Document not available online. Saberespractico.com (2019). Países y capitales de Europa. Text in Spanish. Avaliable [HERE]. Wikipedia.org (2019). 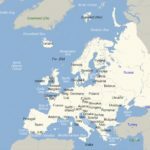 Europe > Map with the location of all the current European countries. Avaliable [HERE]. Wikipedia.org (2019). Kosovo. Avaliable [HERE].